We have been visiting Dr Chhabra since Dr Serrano retired. We have had great service and she is flexible in scheduling both my children with my time slot so we are not making multiple trips. 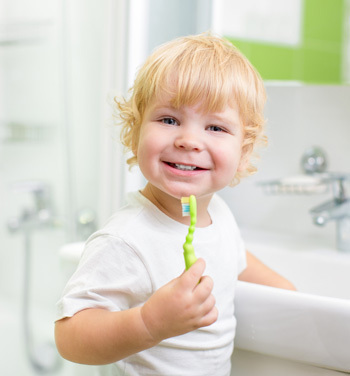 We receive excellent gentle cleaning (with ultrasound) and she and her Dental hygienists have all made us comfortable and take the time to explain things well (especially to my kids). She will let you know of issues she sees and explains different options of care and if or when additional procedures may be needed. Today I had 3 fillings replaced – absolutely no pain, and Dr Chhabra was extremely gentle and thorough. I followed up with my cleaning (and my 2 kids were also receiving their cleanings). Quick, fast, reasonable – we had discussed exactly what the procedure was going to do at our previous cleanings and we discussed if it was necessary or preventative, etc. No pressure and her billing assistant took me through the co- pay and insurance and we knew exactly what to expect so we could save time and money. Would recommend highly. Dr. Chhabra and team do a fantastic job. Thorough, fast and friendly, makes going to the dentist a pleasure. My family loves Dr. Chhabra and her staff. They have become family and always work around our crazy schedule. When my son had a dental emergency before a trip and on a weekend, Dr. Chhabra answered her personal cell phone and had him text her a picture of his abscess and she took care of it right away! We are lucky to have her as our dentist. She takes great care of all five of us! My son was long overdue for a checkup and the staff took great care of him and gave him a clear plan for better oral care going forward, He felt comfortable and liked all of the staff and the dentist. Always a great professional experience! Dr. Chhabra and her entire staff are so professional and kind. I would without hesitating to recommend this dental office. High level dental service in Almaden!!! My Recent Experience at Dr. Chhabra’s Office. I had not been to a dentist for 3 years prior to this visit. Dr. Chhabra , Sammie,and Debbie are the absolute best. They are kind considerate, and wonderful. The office atmosphere is clean, calm and modern. I am so happy that I found them! I have anxiety at the dentist and this office is always very conscientious of how I am during the visit and always working to make me feel comfortable. I highly recommend this office. Dr. Chhabra and her hygienists do a fantastic job for our whole family. They do really thorough and complete cleanings with a super gentle touch. My kids really enjoy going to the dentist. The office is clean and calming and everyone is personable, professional and friendly. They explain and give complete and accurate estimates for additional work (whitening, fillings, etc) and work with your insurance really well. Thank you Dr. Chhabra! Dr Chhabra and her team always do a fantastic job of getting me comfortable and ready for the procedure, and take great care and professionalism in their work. In particular, the “Movie Theater” option they have created during difficult procedures have made it so much easier to get through cavity fillings and other normally painful events. I have my entire family switched over from our old dentistry to come exclusively to Almadensmiles. Dr. Chhabra is the best. She is very caring & gentle. I can hardly feel when she numbs me, now that’s great!! I just love her whole attitude, she’s very honest & professional. Dr. Chhabra did a wonderful job filling my daughter’s first cavity! She made sure my daughter was comfortable and took great measures to ease my daughter’s fears by giving her a stuffed animal, speaking calmly, and motivating her to cooperate. I was very impressed with Dr. Chhabra’s patience, thoroughness, and skill during the entire procedure. Dr. Chhabra and her staff do a great job taking care of my family’s teeth. The staff and dental hygienists are very professional and thorough in their work. Dr. Chhabra goes out of her way to take care of our needs – she even came in on a weekend to take care of some emergency dental work. I would certainly recommend her practice to others. Goes over and above the call of duty. “Dr. Daljit Chhabra and all her staff go over and above the call of duty each and every time we visit: be it a routine Cleaning or a dental emergency. My adult children choose to get all their Dental work done here as well in spite of living on the East Coast and having their own Insurance!